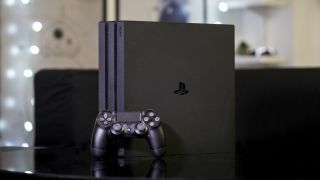 PS4 owners are already excited for the console's upcoming firmware update thanks to Sony finally allowing games on an external storage device, but another feature of the version 4.5 software update looks to be especially useful for those with a PS4 Pro. Beta testers have uncovered a "Game Boost" setting for the PS4 Pro which allows the console to devote more power to some older games even if they weren't patched for better performance on the 4K-capable Pro. The update, with Game Boost, is rolling out to beta testers at large, Eurogamer confirmed. The site first spotted Game Boost in a NeoGAF screenshot. Going off the Game Boost's description, it offers "improved gameplay, including higher frame rates, for some games that were released before the introduction of PS4 Pro (CUH-7000 series)." The description adds that Game Boost should be turned off if "any unexpected behavior" arises, meaning that mileage may vary depending on the game and not all games can be optimized by the feature. Certain games like Uncharted 4: A Thief's End and Deus Ex: Mankind Divided patched in HDR support and improved resolutions after the PS4 Pro's launch, allowing them to take greater advantage of the console's superior guts. However, older games in the PS4 library without such a patch - while still compatible - don't fully utilize the hardware's improved GPU, running effectively the same on the Pro as they would a regular PS4. Game Boost will seemingly lend those games extra power once the firmware goes live, meaning smoother performance and potentially faster load times, though don't expect games built with a 30fps cap to suddenly break off the chains and run at 60fps.